Future Problem Solving (FPS) is an internationally recognized, award winning program that encourages critical thinking. FPS fosters investigation, ingenuity, creativity and cooperative learning. 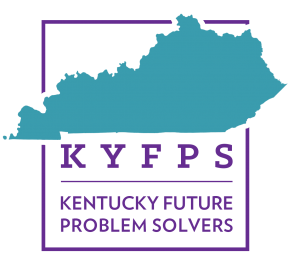 KAAC is the sole organization licensed to coordinate FPS in Kentucky. Certified evaluators read and rank student writing in FPS. Ranks that are classified as “outliers” are adjusted. KAAC offers FPS events both as part of Governor’s Cup and separately as FPS Component Events. Choose your FPS path from the menu at left. Future Problem Solving was founded by creativity pioneer Dr. E. Paul Torrance. If you would like more information about FPS, e-mail KAAC Program Director Brenda Darnell or call Brenda at 502.223.0088.